a professional and beautiful website. Our intuitive CMS (Content Management System) gives you the tools to autonomously manage your website like a pro. 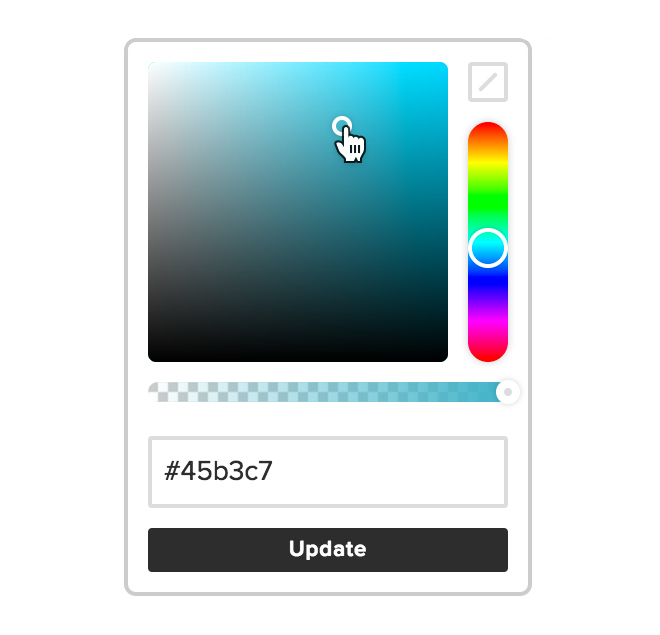 Easily adjust your website's colors to match the look and feel of your brand. 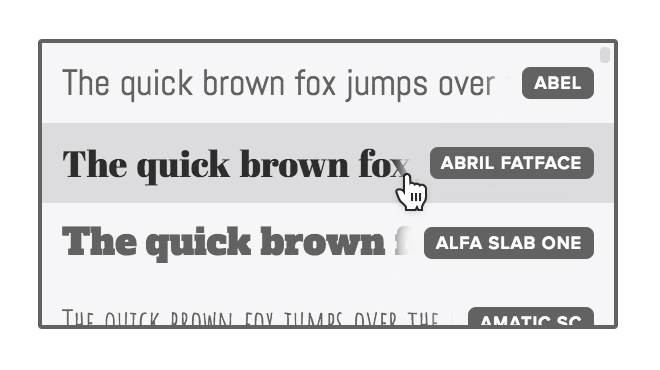 Elevate your website with our collection of professional typfaces from Google. 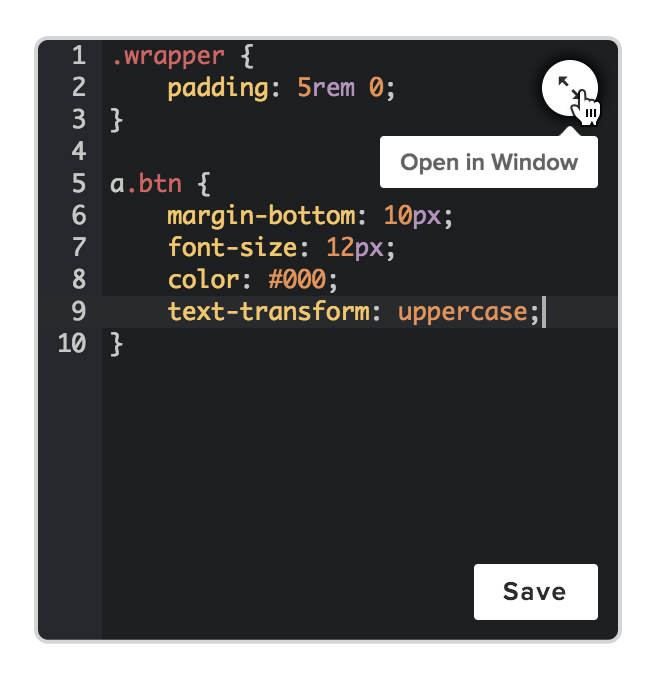 Apply advanced customizations using the built-in code editors. 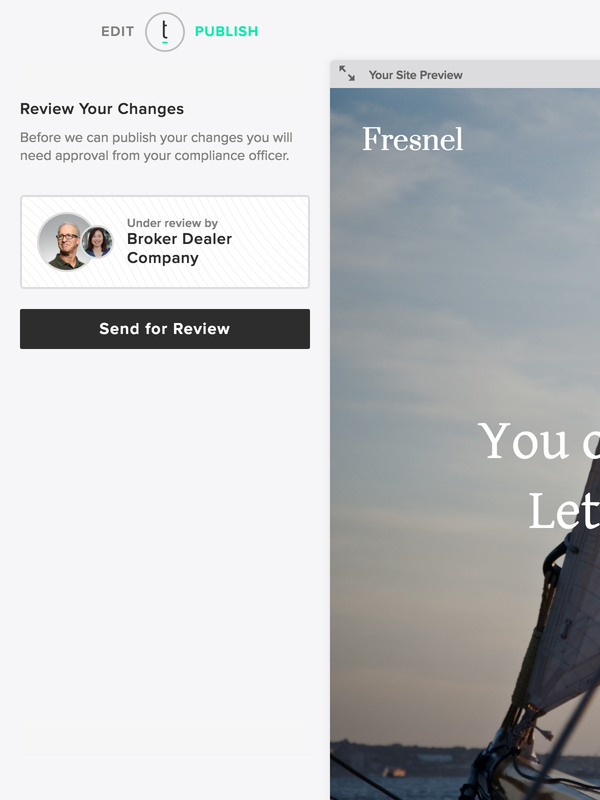 The most advanced blogging platform for Financial Advisors is finally here. Create diversified blogs, categorize posts, and enable social sharing options. 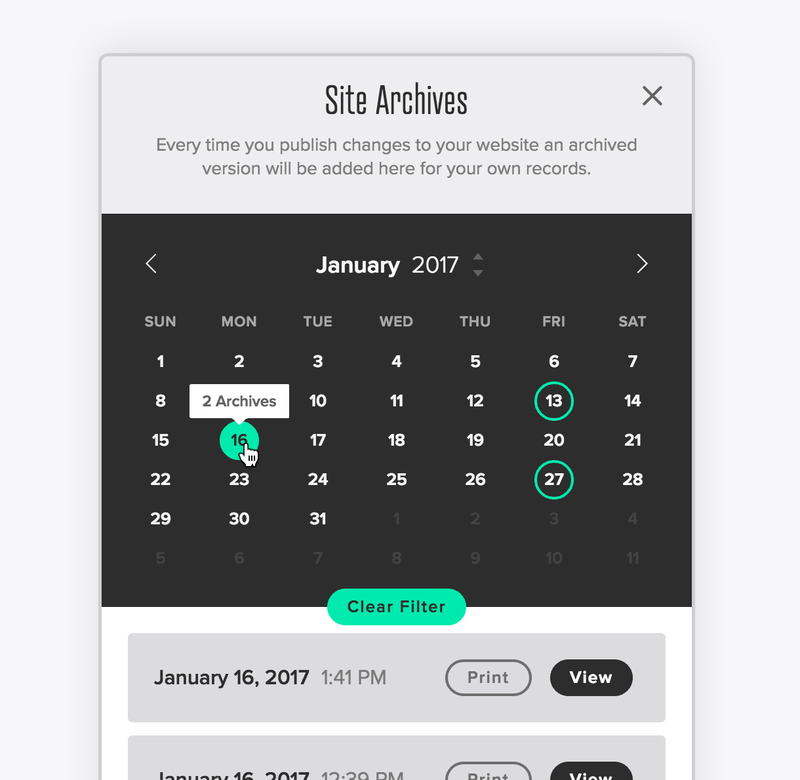 Get your content published efficiently and rest easy knowing every approved change that is published will be archived for your records. When you are ready to publish your changes simply flip to the "Publish" step from the top-left navigation. Editing will be locked so you can review your website before staging your changes for publishing. Advisors under a Broker Dealer will be alerted that their changes will need to be reviewed before being published. 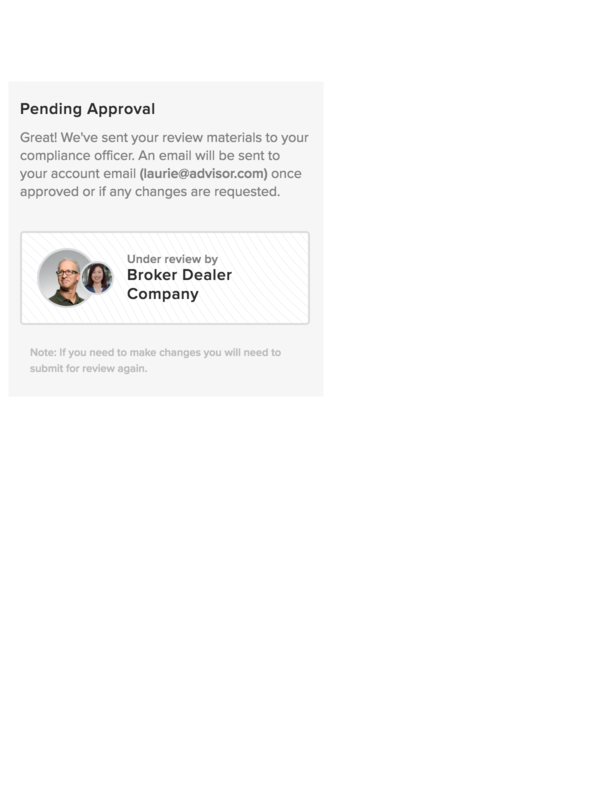 Advisors not under a broker Dealer will be able to proceed with publishing. 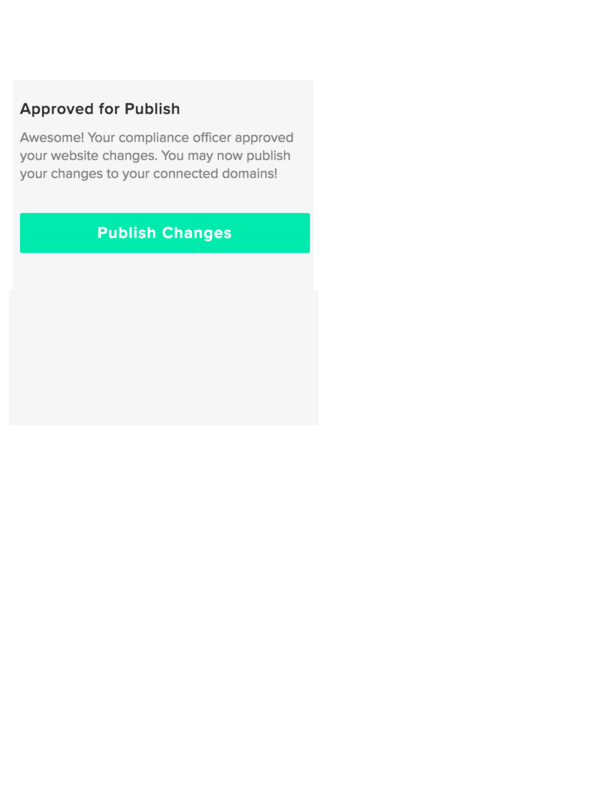 Once your changes are approved you may proceed with publishing. If you'd like to go back and make edits you will have to go through the publishing process again to ensure changes are properly documented. All published changes will be automatically archived for your security. Browse the visual calendar to pull up individual archives where you can view your site in history and access print-friendly documentation. Automatically enable SSL for your website and secure your visitors' connection while boosting your Google rankings. Fully customizable, integrated forms are here! Collect information from clients directly and generate inbound leads. 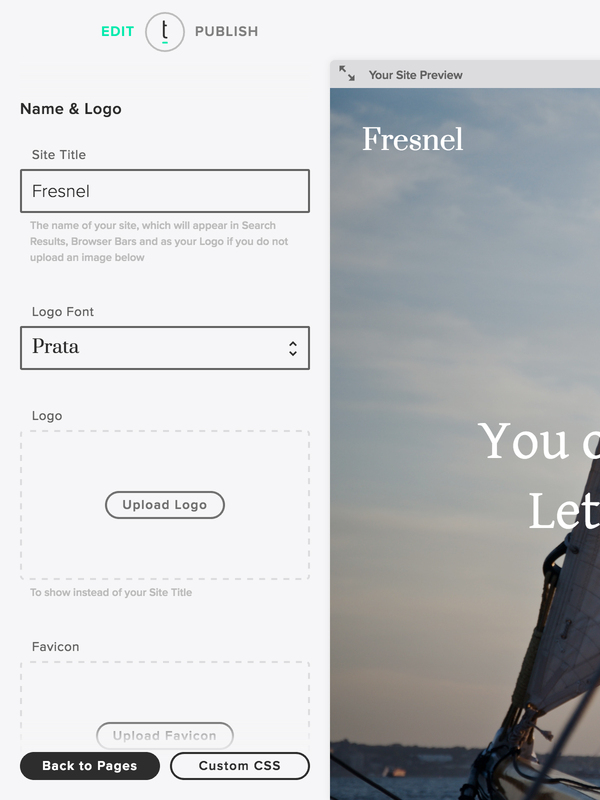 Create unlimited pages and choose from a variety of options to change the layout and functionality of your website. Engage current and potential clients by making your content easily shareable through the most popular social media channels. Connect third-party services to your website automatically, including Google Analytics, Mailchimp and more. You can now connect multiple domains to your website and manage your DNS directly from the dashboard. 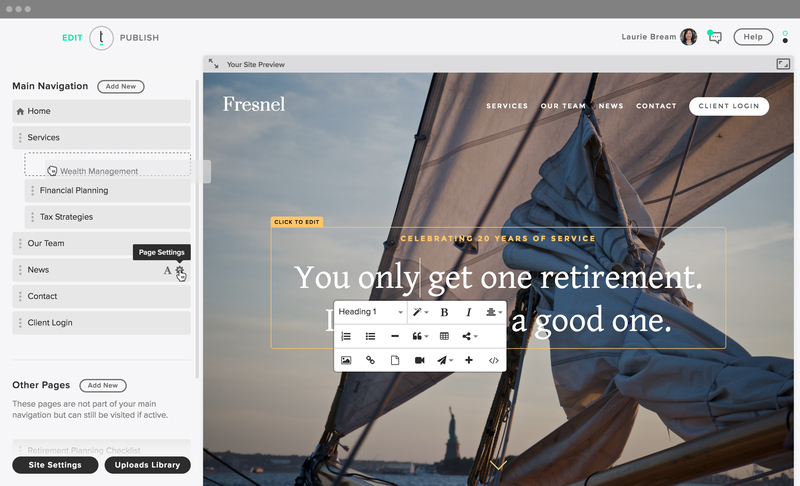 Easily set colors and fonts to match your brand and apply advanced styles through our custom Styles editor. Add custom scripts and write your own code using the various code injection areas available on every page. Add and organize your files in a flash. You can drag multiple files directly from your desktop into your uploads library. Automatic website caching, gzip and minification baked in. Files are served via a global CDN for ultra-fast load times. As always, our frameworks are created using the latest web standars and are completely mobile responsive. RSS feed URLs generated automatically and embedded in every Blog Page for easy reader support and syndication. Between our robust support center and attentive team of agents we offer unlimited support at no extra cost.